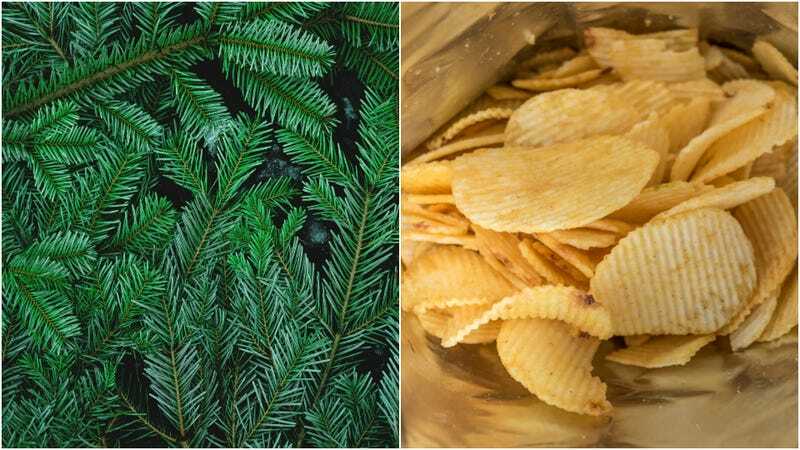 The Daily Mail reports: “Part of a range that also includes ‘pigs in blankets’ and ‘lobster cocktail’, the most avant-garde of the range—the tree—hasn’t gone down particularly well on social media.” The crisps use the oil from real pine needles to help get that unique Christmas tree flavor. Some point out that pine nuts are a popular add to salads and soups and dishes like pesto—but how far does that piney love go? Enough to look at a Christmas tree and think, “delicious”? Maybe if these crisps had been released in November or something, but on October 8, they’re a little difficult to fathom.